My legs were burning but behind and before me were other women’s cancer survivors. I had never been in one place with so many other like me – others with missing organs, pink scars, quick beating hearts, and warm breaths floating through the cold drizzling rain. An older woman we passed half a mile back draped a pink and teal felt blanket over her shoulders – the tied edges mingling the two colors. This cape of courage marked the years she has been thriving since both breast and ovarian cancer tried to claim her life. Though it seemed she walked alone, we were all her and she was all of us. We’ve all fought or will continue to fight for our lives. A woman spoke before the Race to End Women’s Cancer 5K began in D.C. She was hoping to get into clinical trials because another growth had started. No matter what you were doing, when the word “tumor” was said into the air – we all held our breaths and said a silent prayer for our sister. My heart reached out to her, embracing her in what would be another hospital bed with IVs. We’ve been her, and she’s been us. As we all walked toward the finish line, my husband said, “Look up honey!” A flock of birds flew across us, and it made my heart feel free. My family and friends and sisters trailed behind me as I was pushed past the finish line. My parents have always called me a free bird – but at this moment I truly felt it. This was the goal I set for myself back in March when I was hooked up by both the MediPorts in my chest and stomach to chemo machines with a fear of the results of a post CT scan. This was my moment – and I’m blessed to have more moment ahead. 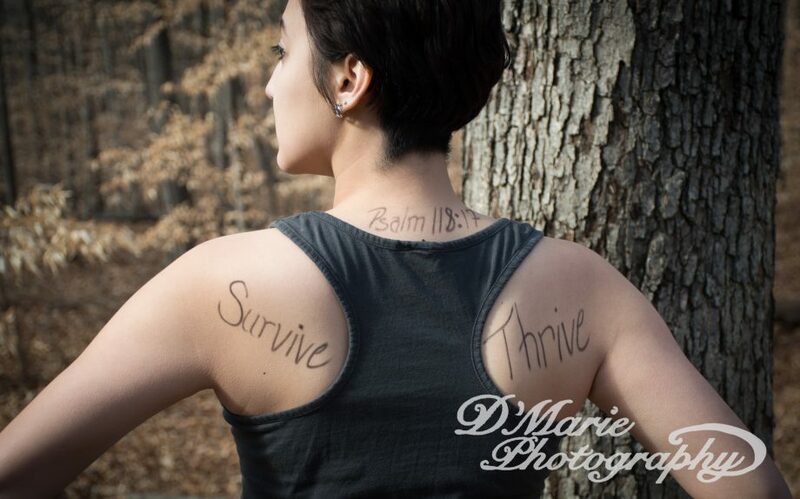 This entry was posted in cancer, chemotherapy, Christianity, faith, family, ovarian cancer, recovery, writing and tagged cancer, chemo, discover, faith, ovarian cancer, recovery, survival, writing. Bookmark the permalink.